Essential oils can be a little intimidating – I know they were for me. When we bought our first set of essential oils several years ago, they sat unused for months before I even used a single drop. The true powers that lie within those tiny little bottles is a mystery to most. If you’re finding it a challenge to get started with essential oils, I want to show you how wonderful and versatile these powerful plant extracts are. You can use a little bottle of essential oil in a variety of ways. Essential Oils are highly concentrated pure plant extracts. Essential oils are extracted using one of two methods: by simple pressure extraction, as is the case with most citrus oils, or steam distillation, which is the method used for the majority of essential oils. These resulting oils are volatile in nature due to their concentration. This is why they are sold in such miniature bottles — you only need a few drops to be effective in most applications. One of the benefits of essential oils is their wonderful scent, but most have also been said to have therapeutic and healing properties. Essential oils are very fragile in nature and must be stored correctly to preserve their shelf life. If stored in dark bottles and away from sunlight and heat, most oils can last several years. (Citrus oils are an exception to this, and usually only have a 6-12 month shelf life.) As soon as essential oils are exposed to light or heat for a period of time, they will begin to oxidize and degrade, and they will continue to lose their beneficial properties. In addition to carefully storing your essential oils, you must also take special care in handling them. Some can be irritating to the skin, especially if applied neat (undiluted), and must ALWAYS be kept out of reach of children and pets. To learn more about essential oils that are not recommended for use during pregnancy, see this chart. If you plan on using essential oils for children, check out this list of oils generally regarded as safe. 1. Baths – Enjoying essential oils in the bathtub is one of the easiest ways to benefit from the wonderful aromatherapy they have to offer. Simply add 5 to 10 drops of essential oil to a full bathtub. I like chamomile and lavender for relaxation and stress relief; pine oils and rosemary are good for a post-workout soak when your limbs are achy. If you want to have something luxurious already mixed up and ready to dump into the tub, you can make bath salts and include your favorite essential oil. 2. Room spray or potpourri – To avoid adding toxins to your environment with chemical air fresheners, try mixing up a homemade aromatherapy room spray with a pleasing scent. It’s always fun to gather some seasonal essential oils to make a holiday room spray. If you have potpourri that needs to be brought back to life, try adding a few drops of essential oil for a fragrant new display. 3. Foot soak – Sore, tired feet can enjoy a special treat when essential oils are added to a foot bath. Read more here for ideas on creating a spa-like foot treatment with essential oils. 4. Body scrub – Homemade body scrubs are a great way to exfoliate dry, rough skin in the winter, leaving your skin smooth and soft. Treat yourself to a fragrant body-polishing session by adding essential oils to our basic sugar or salt scrub recipe. 5. 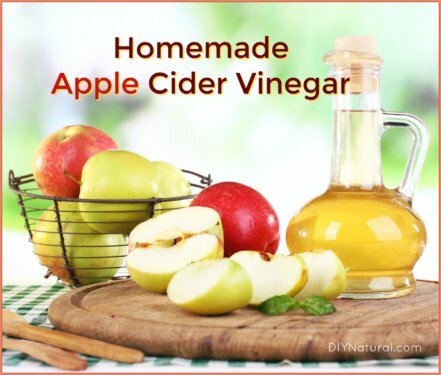 Home cleaning – Many essential oils have antibacterial, anti-fungal, and antiviral properties. Add them to your homemade cleaners for a boost in cleaning benefits. 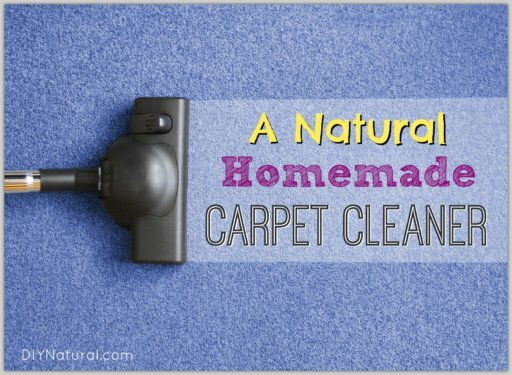 Clean your toilets using essential oils, add them to homemade fabric softener, or check out our book for many more natural cleaning recipes that are compatible with essential oils. 6. Skin moisturizer – If you’re making your own personal care products, it’s so fun to play “chemist” and add all kinds of ingredients that are beneficial for your skin type and that smell yummy too! Add several drops of a gentle essential oil to this non-greasy moisturizing spray to make a light, yet rich after-bath spritz. 7. Facial cleanser – Use essential oils in your facial cleanser for their astringent, anti-inflammatory, and antibacterial properties. Use our homemade facial cleanser recipe to customize a formula that you love. 8. Bug repellant – Did you know several essential oils are effective in deterring bugs? Combine many of these to make a natural bug repellant to have on hand during bug season. 9. Massage oil – To make an aromatic massage oil you will need a light base oil such as grapeseed or sweet almond. Three to five drops of essential oils can be mixed into a small puddle of oil in your hand, or 40-60 drops can be added to a 4 oz. bottle of oil for an aromatic massage. 10. Oral hygiene – Want to know how to get that fresh, minty taste in your homemade toothpaste or mouthwash? You guessed it…essential oils. Just a few drops will do! Experimenting with essential oils can be a blast. There is a lot to learn about all they have to offer, but some of these simple projects can help you get your feet wet in the world of essential oils. Beware though, many essential oils are not as pure as they claim to be. Sometimes companies will cut their product with other, lower-quality oils to reduce costs. Be sure to always purchase 100% pure therapeutic-grade essential oils. One thing you can look for to sniff out a fake is right on the label. Look for the common name and the botanical name to be listed. If the botanical name listed isn’t the correct one for the common name, chances are you’re paying for something you’re not getting. Do a little homework before purchasing essential oils to make sure you know both the common and botanical name for the oil you want. The best way to make sure you’re getting a good product for your money is to know your source. 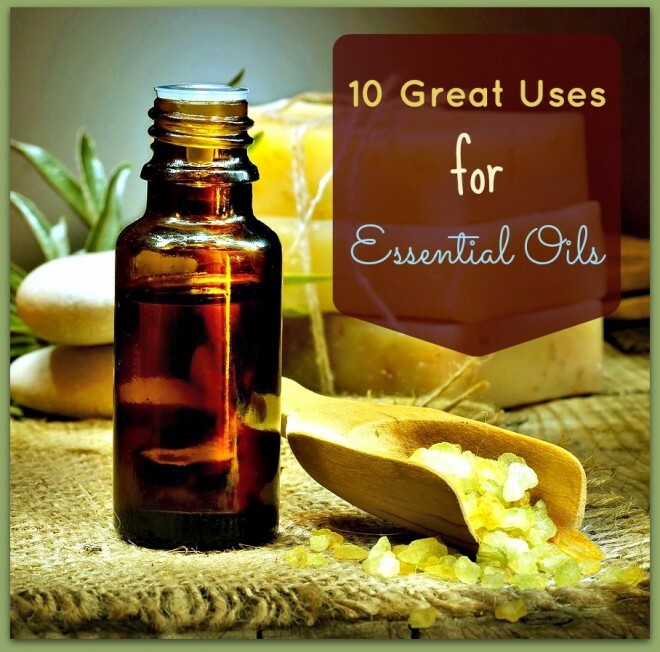 Find 100% pure essential oils we recommend here. Have fun incorporating essential oils into many of your products and daily habits! We’re warning you though…it can become a little addictive! Stop thinking about using essential oils and go buy some so you can start making more of your own healthy products! What top oils would you recommend say if I wanted to get 10 different oils? I am thinking for cleaning, self care, beauty, etc… 🙂 I would really appreciate your help! Like you, I’ve been on the edge with essential oils for a few years now. I have bought some and the little bottles sit around most of the time unused because of my lack of education and understanding as to their applications. I have heard some CANNOT be ingested, is this true? I learned the hard way about some of them not be applied ‘neat’ when I tried using it that way on my FACE! Ouch! I add it to my magnesium ‘oil’ in a spray bottle which I apply topically regularly. I have also tried them in my personal cool mist humidifier. Good post, Betsy. Aromatherapy is becoming much more acceptable even by some members of the medical community as a viable therapy for many disorders. We teach and sell aromatherapy products for use as an alternative therapy for people with Alzheimer’s disease. There is a growing body of clinical evidence that certain essentials are beneficial to people in this population. A couple of points if I may: the therapeutic and healing properties of the oils *is* aromatherapy. Caution should be taken with certain oils, as some can be almost caustic if used improperly. Finally, a sense of smell is not a requirement for receiving the benefit of aromatherapy; in this way the term “aromatherapy” is a little misleading. What about DoTerra oils, or Young Living? I heard they were the best. I really like the quality of essential oils from Magestic Mountain Sage, never have disappointed in any thing from them. I purchased the essential oils recommended in your book from New Directions Aromatics, but now you are recommending Mountain Rose Essential Oils and I am wondering why. Are the New Directions oils not the best? Thanks Betsy, love your book. It has opened up a whole new interest and I feel like I am contributing even more to helping our poor environment which is a good feeling. Also greatly appreciate your site, I’ve made the vanilla, chocolate sauce and some other stuff and am having a ball. I’m so glad there are people like you and Matt. Aw, thank you for the sweet words Lois. We’re glad you’re loving the book and some of our other projects…keep at it! 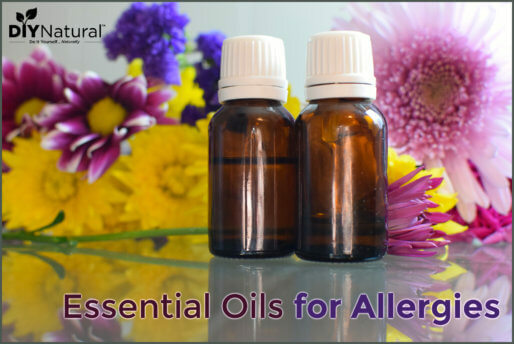 My favorite way to use essential oils are for health and sickness. We use peppermint to get rid of headaches and muscle pain. We use Lavender on diaper rash, healing wounds and many more things. Just last night I used a blend called digestion support from http://heritageessentialoils.com on my daughter who was having gas and having problems sleeping. Worked like a charm and she slept the rest of the night. Awesome Anne! They really are good for so much! I buy all my oils from Heritage Essential Oils! Such a great family-owned company! Their oils are incredibly priced and shipping is so fast. I usually have my orders in 2-3 days. Their oils are of the highest quality and are therapeutic grade. I’m just getting started in the world of essential oils, but what I know so far, I love! I read recently that essential oils are toxic to pets. I understand that they should not ingest them, but was wondering if even breathing them could be harmful considering their lungs and livers are much smaller than ours. Do you have any information on this? Most of the information about essential oils being dangerous for pets is false. Read this for more information.